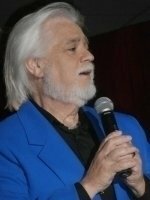 In addition to appearances on cruise ships and as a guest artist at festivities, the Tribute to Kenny Rogers Lookalike Impersonator Tribute Artist has been presented in venues all across the Nation. 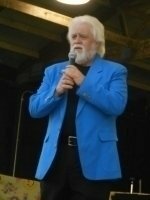 The Kenny Rogers Lookalike Impersonator Tribute Artist provides quality entertainment for the entire family. Whether it be a private party, fund raiser, or a large event, your audience will thoroughly enjoy the performance. 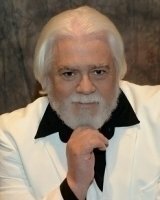 Invite Kenny Rogers Lookalike Impersonator Tribute Artist to your next event. He will create lasting and a wonderful memory for you and all of your guests. Great for corporate events, holiday parties, anniversary parties, casino’s, weddings and all of your special events. He has a great smooth Kenny Rogers voice and a great Kenny Rogers look. COUNTRY MUSIC – a sound known for great entertainers and resilience. One entertainer that epitomizes and personalizes those descriptors is “The Gambler” Kenny Rogers. With a career that spans decades, and all genres, the music he performs is revered throughout the world. TRIBUTE TO THE GAMBLER gives a performance that will provide an exciting and enjoyable evening of entertainment.